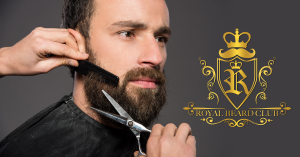 The beard care information you’ll be given here can help you keep yourself looking your best. If you have a beard of any size, you have to take care of it. Otherwise, it will look bad and is just not attractive if it’s out of control. Your beard is something you have to brush or comb if it’s long. There are a lot of hairs that get loose over time, and it also keeps it from looking bad. You can make it more straight if you comb or brush it every time you take a shower or every day at least once. You don’t want to go to work or out with someone only to find out it looks out of control and there is debris in it! You usually won’t notice anything in your beard if it’s large until someone mentions it to you which can be a little embarrassing! Are you not allowed to have a beard at work unless you take care of it? You may want to invest in an electric trimmer, because that can help you keep it at a certain size without too much work. You need to get the kind of clippers that have extensions that help you keep the beard at a certain length. Otherwise, you will end up with it being uneven because it’s really hard to cut it properly in the mirror and have it look right. If you can get help from someone you live with or from a barber, that’s the best route if you’re not able to do the cutting yourself. The different beard oil options on the market are nice to invest in if you want to make sure your beard looks and feels great. You don’t want to use anything that’s so oily it makes the hair look like it’s covered in grease. Generally, if you go with something that is all natural that is better than something that is cheap and poorly made. Beware of people that sell you really expensive products that are made out of ingredients you can slap together yourself for only a couple of bucks. You don’t have to go too far with your beard care, you just have to be careful. There are many men out there that do the minimum and still look great. Keep it clean and looking nice and you’ll be know for how awesome of a beard you have!